TAFE SA have just launched their new Gastronomic Adventures program. The program opens up the world class cooking facilities to the wider community, not just budding professionals. As well as adult classes, the program includes cooking classes for kids aged 4 to 16. But TAFE aren't the only ones offering your little ones fun cooking experiences. So many kids love getting a chance to play around in the kitchen. 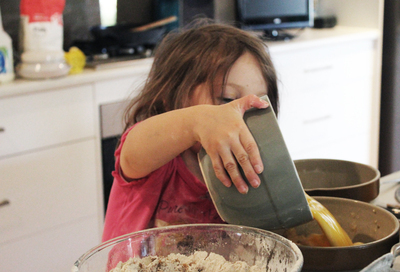 Cooking classes are a chance for them to experiment, but you won't have to clean up the mess! The current TAFE program runs from Tuesday the 9th till Friday the 12th of July, while it's a temporary program hopefully it will continue throughout school holiday periods. Classes are divided into Kinder Cooks, Growing Gourmets, Kitchen Cadets, and Master Classes; each designed to suit the different age groups involved. The classes start off simple --making sugar cookies or bacon and egg pies-- but they get more advanced for older children who can learn about chocolate, choux pastry, Mexican street food, and Italian cooking. Prices start at $33.50 for Kinder Cooks classes, or get the full experience and do 8 sessions for $400. 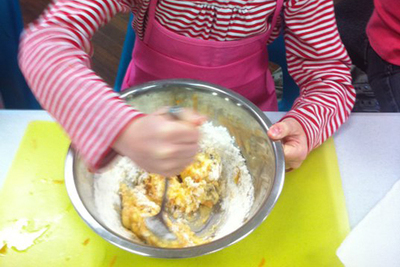 During the school holidays Sprout usually run children's cooking classes. While the classes are fun, they have the added benefit of being healthy too. 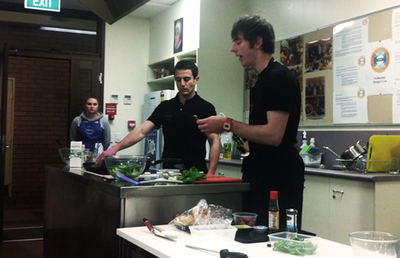 Sprout is made up of Masterchef runner-up Callum Hann and dietician Themis Chryssidis. The two create a fun interactive class, perfect for kids. Like Sprout on Facebook to keep up to date with new offers, as they're always announcing new classes and opportunities. Sprout also team up with the Adelaide Central Market occasionally to offer kids' cooking classes around the school holidays. Kinderchefs offer cooking classes completely dedicated to kids. There's a focus on fun, and none of the classes are too difficult, but Kinderchefs also helps teach kids about healthy eating. It's not just about cooking food, but learning more about vegetables, discovering things your kids may have never eaten before, and they may even add music into the mix. On top of all this you can also take the kids along to the Adelaide Showgrounds Farmers Market, where they can take part in free cooking demonstrations every week. They're not full blown classes, but they're a fun introduction to cooking. 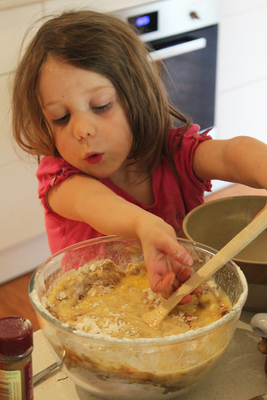 Of course while cooking classes are fun, kids will always love cooking at home with mum and dad. Getting kids involved with cooking meals at home is a great way to get them used to the kitchen. Do you cook with your kids at home? Have your kids tried any cooking classes?